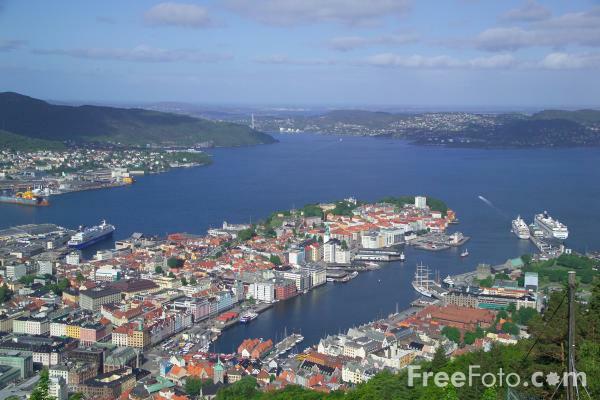 Photograph of the Cityscape, Bergen, Norway. View of the city of Bergen from the top of Mount Floyen. VIEW: More images from the category Cityscape, Bergen, Norway or taken at the same location or around the same time .